Are you looking for local jewellery repairs in Berkshire with a fully trained master goldsmith? Look no further than Taylor & Co.
Are you looking for local jewellery repairs in Berkshire with a fully trained master goldsmith? Look no further than Taylor & Co; we offer a full in-house jewellery repairs service from our boutique in Crowthorne, Berkshire. Whether your jewellery repairs in Berkshire is a missing stone in a ring, general wear and tear to a bracelet or a broken chain, we will be happy to fix, polish and clean your jewellery and bring it back to its former glory. 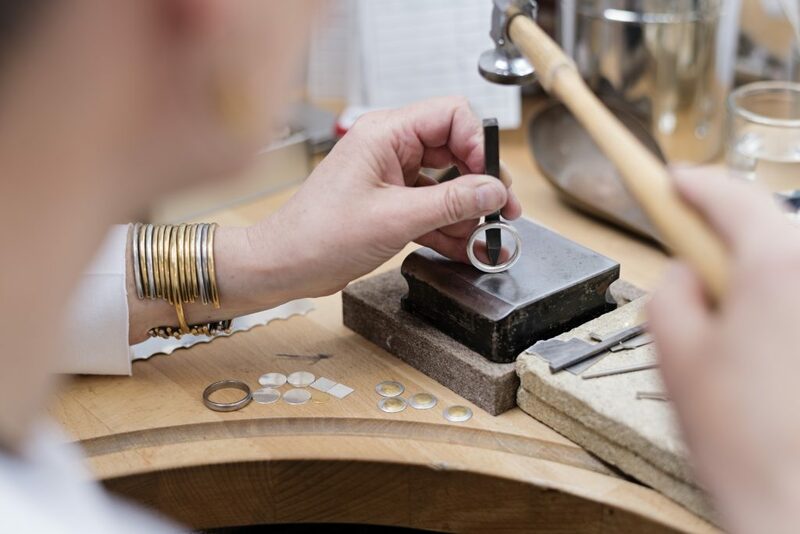 Our master goldsmiths have many years experience repairing and restoring all genres of jewellery, and by investing in the most exceptional tools, technologies and materials, our work is second to none. We can assist with missing stones in your rings that need replacing, broken or damaged claws holding stones as well as assessing and fixing loose gems before they get lost! We can also help to repair necklace clasps and chains and have a wide selection of chains to match your existing jewellery if they do need replacing. All repairs are completed with a thorough clean and polish and full assessment to ensure there are no other issues or problems with the piece of jewellery, giving you complete peace of mind that your item will be returned to you in perfect order. If have any concerns or questions about your jewellery and the repair services we offer, please do get in touch with our friendly and approachable staff who will be happy to assist or arrange a consultation with our master goldsmiths. We will always quote first so you will have no nasty surprises, and keep you fully informed if we notice further work is required. We pride ourselves on offering exceptional customer service and delivering total satisfaction. Call us on 01344 780212, drop into our boutique or use the contact form below.